At Maui SUP Rentals, we want you to be safe and have the best surfing experience possible. Learn what the latest surf and weather reports are before you reserve your SUP Board today. Aloha! We specialize in Stand up Paddle Board rentals in Maui, HI. Maui is one of the top vacation destinations and offers crystal clear water, warm sandy beaches and bright sunshine. Why not make the most of your vacation and spend time on the waves learning to improve your balance and core body strength with a paddleboard. Not only can this be considered an excellent aerobic workout, but it is also pure fun! Let’s not forget there is also no risk of hurting yourself if you fall since the warm ocean water will catch you. In addition, you can bring other family members along for a paddleboard ride with our Adventure Board. This 12 foot long board is able to carry up to 300 pounds and is covered in a memory foam top surface which offers great traction for children and pets. Whether you’re a pro or a beginner, our paddle boards can add a new dimension to your memorable vacation. We offer only premium, top of the line, stand up paddle boards as rentals, so you are guaranteed a high quality board for your fun in the waves. Need some tips and pointers? We would be happy to provide you with balance and paddling instruction with each rental, and you can also find a short video tutorial here. The water around Maui is clear, warm and great for practicing how to use a SUP. Beginners are more than welcome! We offer tips and tutorials on how to use a paddleboard. Our affordable rates include daily or weekly pricing to help make the most out of your vacation. Light weight and easy to carry to and from the water. Each board also includes an adjustable paddle. 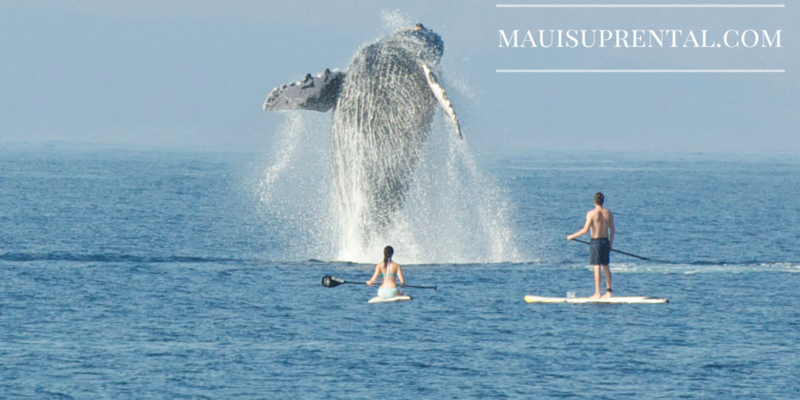 At Maui SUP Rentals, we are dedicated to providing the highest quality stand-up paddle board (SUP) rentals on the Island. When you’re ready to reserve your SUP and create new memories from your vacation to Hawaii, you can do so right here.